“Come in now and use ours, you can re-stock them later. It’s now or never,” she urged. Talk about pressure! I didn’t have time to think, or talk it over with my husband who was on the fence of trying for a second child. Couldn’t I be content with just one child, he asked me countless times? Probably….but something inside me told me I needed to follow this path. Life takes us where we are supposed to go…this was happening for a reason. So I went. Prior to this moment, after the birth of my first child at only age 32, I was in perimenopause. My FSH (follicle stimulating hormone) had skyrocketed to 124, ten or under is optimal for conception, anything over 15 and fertility centers won’t even treat you. My baby was just 18 months old, and the hot flashes were suffocating me. Over 100 times a day I was miserably hot, irritable, and felt every horrible menopausal symptom imaginable. I knew I was lucky to have conceived via in vitro fertilization even once, so I was extremely grateful…but part of me yearned for a second child. I went to see my wonderful fertility doctor about these symptoms and she confirmed that I had POF (premature ovarian failure) caused by an anti-ovarian antibody…an autoimmune condition. My body was essentially attacking my ovaries. She said I had two choices; take a steroid, or a natural supplement. I chose the latter and she put me on DHEA supplements along with acupuncture. I journaled throughout those months, I prayed, and I tried to stay present and calm. I failed miserably with the latter. But the holistic treatment worked and three months later my FSH dropped to 13. After that phone call, I started the Follistim shots for three days, but my ovaries were not responding…sadly it wasn’t working. I was devastated as we stopped the protocol to see if rest would kick start my ovaries. Forty eight hours later we learned the little break had helped, my ovaries were stimulated and eggs were growing! Not many…just two follicles, but I was still hopeful. We continued with the treatment for 12 days at the maximum dosage of medication, up to four shots a day in my belly and thighs. The bruises were brutal but a necessary evil. I was full of stress and anxiety while waiting to hear if they would indeed retrieve my eggs. I knew this was my last shot to conceive, and the weight of the moment was overwhelming…I literally was consumed with fear. What if? What if we only had one child? What if I was in menopause forever? At the end of the protocol we learned that there was only one good size follicle, a perfect 20 mm …the “golden egg” Gladys joked. She was my favorite IVF nurse who helped keep me positive through all of my fertility treatments, and I’ll never forget her kindness. Despite the policy of the clinic to only go to egg retrieval if the patient had four healthy sized follicles, my physician, Dr. Ellen Wood, decided to take a chance to see if this golden egg was viable. It was such a serene yet intense moment, as I didn’t actually hear, but felt these words in my core. I instantly knew this procedure would work …and I never fretted again. They did retrieve just one egg the next day, there was another follicle but it was too small. 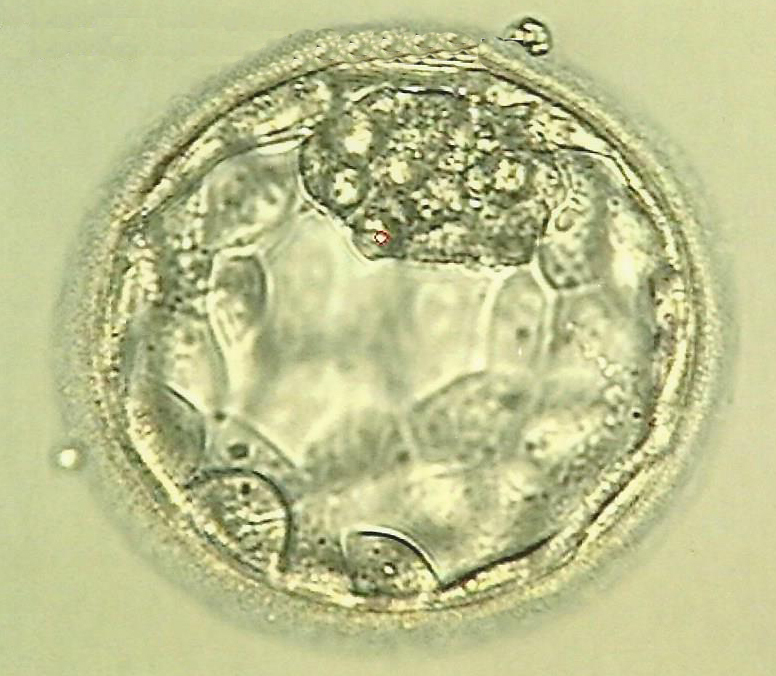 The golden egg was fertilized, and it grew into a day five blastocyst. When we arrived for the embryo transfer in the South Miami office everyone was shocked. Dr. Wood joked, “I called while driving down here…I can’t believe we’re doing this today!” Even my husband, the calmest and most zen-like man I know, was a nervous wreck. “Can you believe this is happening? Why aren’t you stressed out?” I was calm though, I could feel what they couldn’t…God had told me his little secret, and I believed. The embryo was inserted into my uterus, and I stayed on the table for what seemed like an eternity. I knew it was silly, but I didn’t want to jar or move my body, as the precious baby was now inside me. I was given Lovanox injections to continue daily in my stomach to ensure my body didn’t attack the embryo. And seven short days later I took a home pregnancy test after feeling the same symptoms I had with my first baby. I saw the result three days prior to my scheduled blood test at the IVF Clinic. I texted a photo of the pregnancy test to my doctor at 6:00am, and to my husband who was in Toronto. By God’s grace I was pregnant….a miracle. Emylia made it to 36 weeks despite pregnancy induced hypertension and two hospitalizations due to low amniotic fluid. She is the love of our lives, always joking, laughing, and smiling…a child full of pure joy. She radiates love and light, and is the truest form of the word blessing. I am eternally thankful. Dr. Wood recently told me I basically had a 0% chance of getting pregnant…but she never told me that during treatment. ZERO. There was no chance that I should have conceived again at all. But clearly when God has other plans you can defy the odds. All you need is a little faith…and an open heart. Yes not fun in the summer, thank you for reading! Wow, I’m so glad to hear this story. It’s magical. Emylia is a really beautiful name and Emy is a wonderful nickname. I have a friend who was told she’d never have a baby and she did, a second one too. I always tell her to take her two kids into the office of the doctor who told her she had a zero percent chance! She said she sent him a Christmas card instead. Beautiful post. Beautiful girl with a beautiful mom and a beautiful name. Beauty all around. Wonderful story and so happy to have Emy in the family!! This is such an amazing story. I loved it! Happy Birthday to your precious little girl. Kristen such a sweet story you shared here. The power of Faith and God so evidenced through your beautiful miracle baby girl! This was such a touching story and a true accounting of God’s blessings in our lives! I had a similar moment of God speaking into my life during a prenatal yoga class and I had this very vivid image that we were going to have a little boy born with dark hair. We hadn’t had our 20 week ultrasound yet but sure enough we had a boy and he was born with dark hair until it all fell out and now he has very blonde hair! If you have a moment to check out my ‘getting pregnant’ experience, check out my post ‘We’re Pregnant’. Being able to see God’s grace in our lives every day through our children is such a blessing! I will read it now! Isn’t it amazing?! Oh Kristen, I bawled reading this! What a beautiful testimony to how good and faithful God is. Such a beautiful miracle. I love her name – and the meaning behind it. Thank you so much for sharing this… I had no idea! Your post here today, I’m sure has and will minister to many people. Bless you for sharing it. Thank you for reading and for your kind words. I’ve never written about out fertility struggles, and this is just a small portion of what we went through with Emy. Lila was a seven year journey for my book someday! I do hope it helps others break the taboo of talking and writing about infertility. What an inspirational post!! God Is Good! So glad you were able to trust your gut and bring this little beauty to the world! I know you’ve been through hell with all this…just glad it had a happy ending. Stay strong! What a wonderful miracle! Our God is so amazing and personal. Well, I did trust Him. I bled for 6 weeks solid. And gave birth to a beautiful son at full term! What a wonderful story! I’m so happy to hear you and your baby were ok. What we all go through to have children is amazing to me, thank you for sharing your story. Wow. What a touching heartfelt story, so beautifully written, too. I’m so happy that you have been blessed with your miracle babies. You are so relatable and a wonderful inspiration to so many both with your IVF journey as well as being a working mom. such a blessing. she’s meant to be here. my IVF doctor told me i would never conceive. he wouldn’t even DO IVF on me for a 2nd time because he said there was no way it would work. 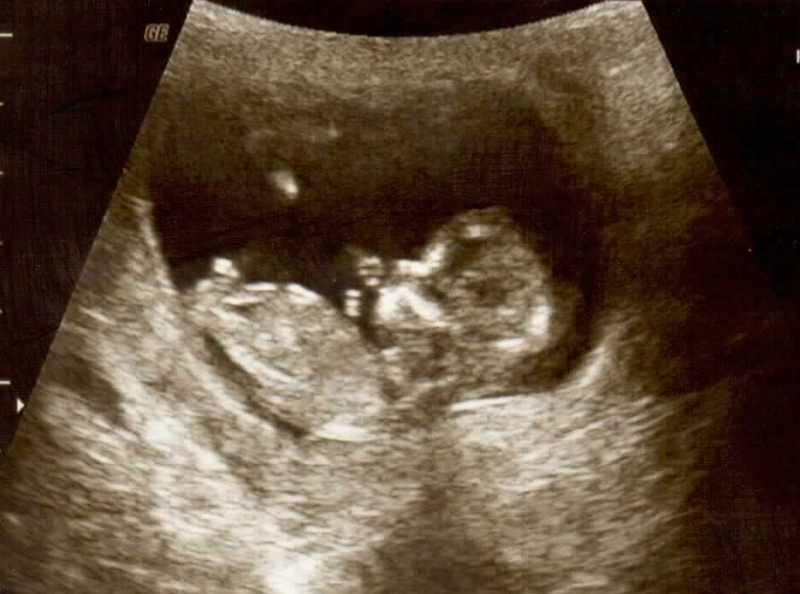 so i got pregnant without him! then i emailed him my baby’s picture. ha. i need to write about it someday. writing is so healing to the reader and WRITER! Oh wow Nicole – I’d love to hear your story. I journaled my way through both of my IVF treatments, and the 7 years prior where we tried tons of other options to get pregnant. Did you conceive naturally? This story is so beautiful! Thank you for being so vulnerable. I’ve had “God moments” like this and it’s surreal, but the peace that follows is the best. This blessed me! Awwww thank you for reading. I wrote it over 2 years ago and then never published. It seemed like the right time, I’m glad you find peace as well. Awww thank you for sharing this story! What a miracle children are.. its really amazing. 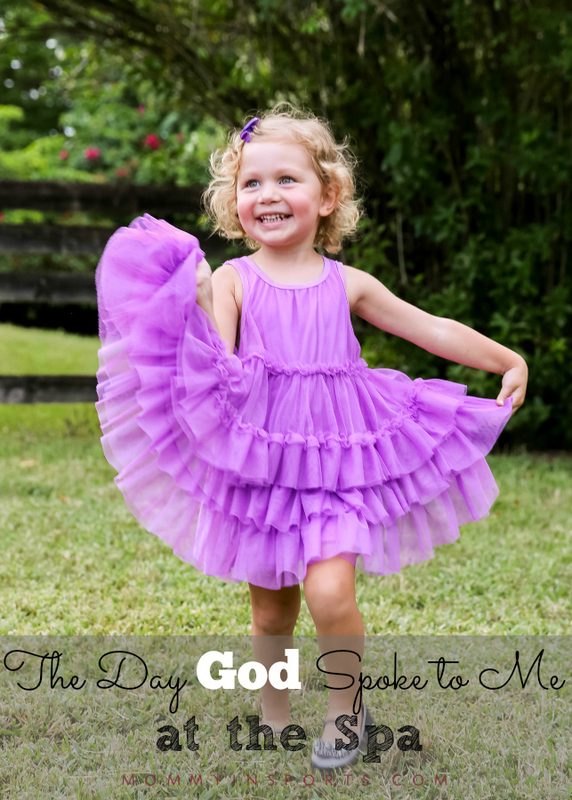 What an incredible story and so happy you shared it with our Small Victories Sunday Linkup. I love hearing inspiring stories like this to know that faith, love and hope carried you through a 0% chance of getting pregnant. Pinning to our linkup board and sharing your story on social media. I hope you join our linkup starting again at 8pm tonight and it lasts all week! I will – and thank you SO much for sharing my story. It means a lot to know that this has inspired so many…it was hard to write but now I’m glad I did! This is such a powerful testimony and even more so because of your transparency. He speaks to me in those moments when I’m in a quiet space as well. Your baby girl is beautiful as the story behind her name. Thanks for sharing! Thank you so much for reading and sharing your thoughts it with me. It means so much that so many have liked this story – she is a miracle. This is a beautiful story. Congratulations to you on your miracle. Such a moving story.